Future Internet and Internet of Things set out a new vision for connectivity, real-time applications and services. Data procured from the use of a large number of heterogeneous physical and virtual devices must be real-time processed and analyzed for the goal of effective resource management and control while maintaining the required performance and quality of service. In addition, the development of the communication networks towards heterogeneous and new generation broadband connectivity brings up new requirements towards the way of managing and controlling of the available resources. Thus for the effective resource management in future internet novel approaches must be proposed and developed. It could be seen that recently a considerable amount of effort has been devoted on behalf of industry and academia, towards the research and design of methods for effective management of resources in internet and multimedia communications. The book reviews some specific topics in the field of future internet and internet technologies that are closely related to the issue of finding effective solutions for the management of resources and performance. 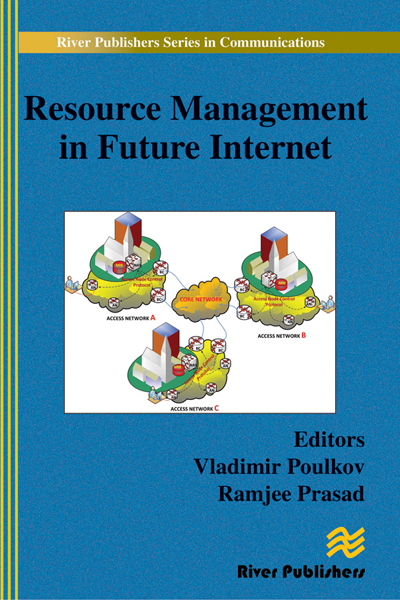 Resource Management in future Internet is recommended for specialists working in the field of information and communication industries as well as academic staff and researchers working in the field of multimedia communications and telecommunication networks. Internet of things, future internet technologies, heterogeneous networks, multimedia networks, wireless networks, software communications, positioning and localization, resource management in telecommunications.